Does your home need some improvement? Maybe some new floors, new furniture, or new paint? Maybe you’re looking to relocate altogether. But where can you start making these changes with a professional who is more like your friend? You need someone who not only has experience, but who also wants what’s really best for you. 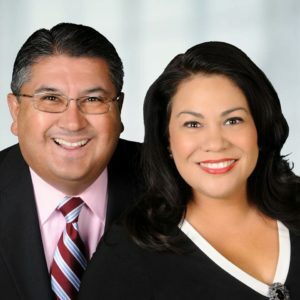 Vincent and Lisa Archibeque are Senior Partners at Accel Realty Partners. Attending one of their home shows and becoming part of their client family can set you on the right path to finding your dream home. After getting their real estate licenses, Vincent and Lisa Archibeque jumped right into the business with both feet. They have been in real estate in the Treasure Valley for the last 6 years. Their job has become their passion, and their clients have become their friends. Their optimistic and open-arm approach is a big part of what’s made them so successful. While Lisa and Vincent Archibeque are both senior partners of Accel Realty Partners, their accomplishments don’t stop there. They also made Property Spark’s list of top 100 agents on social media, locally and nationally. They are very active on their accounts, engaging with their clients and keeping their pages up to date with news and information. The Archibeques are known for their home shows where they don’t just try to show and sell, they make friends and are genuinely concerned about their needs. 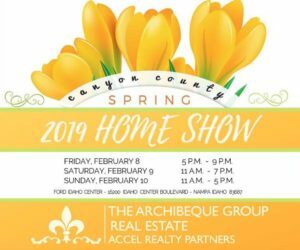 This weekend, you have the chance to attend one of Lisa and Vincent’s highly-rated home shows at the Canyon County Spring Home Show, located at the Ford Idaho Center on Friday (2/8) from 5:00pm-9:00pm, Saturday (2/9) from 11:00am-7:00pm, and Sunday (2/10) from 11:00am-5:00pm. So what exactly is a home show? It’s an exciting and social place for vendors, professionals, and clients to come together and be inspired. There are showcase patios, bathrooms, landscaping, photographs, food, and so much more. It is an opportunity for companies to interact with the public, and for the public to find the services they’re looking for. Going to a home show can inspire how you want to remodel your bathroom, or you can be introduced to Realtors who will help you sell your home, especially if you are thinking of listing your home this spring. You can find new sheets for your bed, or you can find a replacement window for that broken one in your kitchen. You can also just make friends, eat snacks, and socialize. 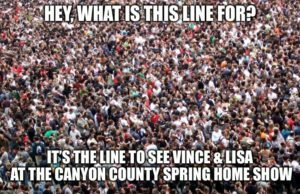 Lisa and Vincent are realtors who love the opportunities that home shows bring to everyone who attends. Their friendly smiles are no façade. Their clients become their friends, who quickly become like family. They keep a low-pressure atmosphere at their booth, where they can just interact with those who come in. They love to keep their business relationship-based. They can help you sell your home and find a new one that’s the perfect fit for your family. 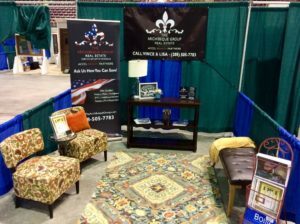 Vincent and Lisa do two home shows a year, so even if you can’t make it this weekend, be sure to stop by and see them next time. They’re the type of friends you definitely want to have, whose business is just as appreciated. Follow our Instagram account @AccelRealtyPartners for information on future home shows and to view some of Vincent and Lisa’s listings.